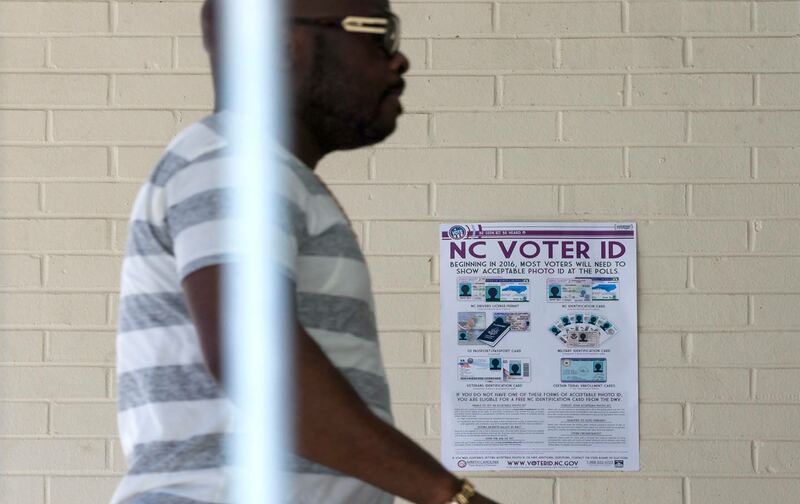 The Supreme Court has declined to reinstate North Carolina’s anti-voting laws. On July 29, the US Court of Appeals for the Fourth Circuit struck down North Carolina’s sweeping voting restrictions, saying they targeted black voters “with almost surgical precision.” The decision was the most significant victory for voting rights since the Supreme Court gutted the Voting Rights Act. Today the Supreme Court declined to reinstate three key voting restrictions that had been appealed by North Carolina—the state’s voter-ID law, cutbacks to early voting and elimination of preregistration for 16- and-17-year-olds. The Court deadlocked 4-4, which upholds the Fourth Circuit ruling. The death of Justice Scalia left conservatives short of the five votes they needed—Justice Thomas would’ve reinstated all of the restrictions, while Justices Roberts, Kennedy, and Alito would’ve reinstated everything except the elimination of preregistration. This is a huge victory for North Carolina voters and will make it easier for hundreds of thousands to cast a ballot this November. However, the fight for voting rights is not over in the state. Even after the appeals court called cuts to early voting “as close to a smoking gun as we are likely to see in modern times,” GOP election commissioners are continuing to brazenly cut early-voting days and hours in local counties. The executive director of the North Carolina Republican Party, Dallas Woodhouse, urged Republican-controlled election boards to “make party line changes to early voting” by adopting fewer early-voting days and prohibiting Sunday voting, when black churches hold “Souls to the Polls” mobilization drives, and polling places on college campuses. In Charlotte’s Mecklenburg County, the largest in the state, where 70 percent of African Americans voted early in 2012, Republicans subsequently cut 238 hours of early voting. He was referring to a proposal by the board’s two Republicans to allow 106.5 hours of early voting before the Nov. 8 election—less than a quarter of the time allowed in the 2012 presidential election — and to limit early balloting to a single polling place in the county seat of a largely rural eastern North Carolina county that sprawls over 403 square miles. Another lawsuit could soon be filed if this behavior continues. Even after they’re strongly rebuked by the courts, it’s becoming increasingly clear that North Carolina Republicans believe that voter suppression is the only way they can win.